Galen Central’s new weekly series will preview the basketball team of USC’s football opponent. With USC football playing Boston College on Saturday, here is a preview of the Eagles’ basketball team, in the form of a feature on former USC Song Girl Shea Jackson’s connection to the squad. Read an earlier preview of Washington State. As a Song Girl, Shea Jackson showed her unwavering support of USC Athletics during wins and losses, sunshine and rain. When Boston College comes to the Galen Center on December 8, however, she will be rooting for the Eagles instead of her beloved Trojans. Shea’s younger brother, Lonnie, is a starting guard for Boston College. Last season, as a sophomore, he led the Eagles in 3-pointers made and three throw percentage. Boston College has a veteran squad under fourth-year coach Steve Donahue. Lonnie is one of eight juniors on the Eagles. The Eagles are led by forward Ryan Anderson, who went to Long Beach Poly. Last season he averaged 14.9 points and ranked fourth in the ACC in rebounding, averaging 8.0 per game. “Ryan is that quintessential big man that you need in the paint,” Shea said. Last year Olivier Hanlan, who starts in the backcourt alongside Lonnie, burst onto the scene in his first collegiate season. 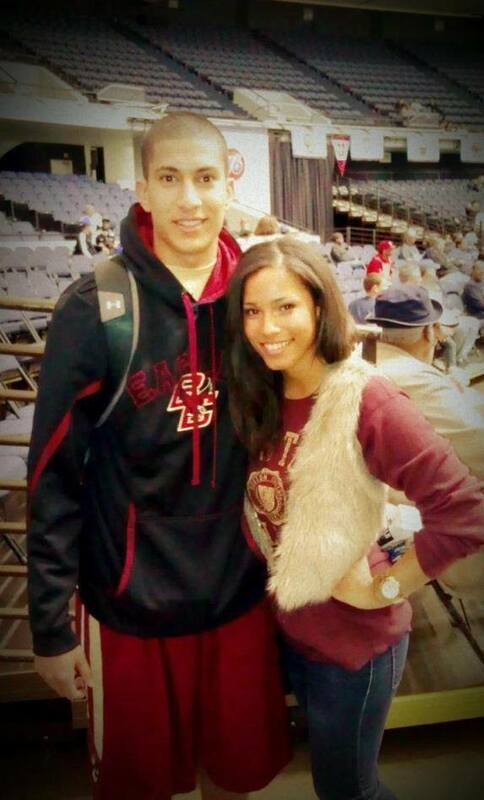 He led Boston College in scoring and was named ACC Freshman of the Year. Shea, who now works for advertising agency Wieden+Kennedy’s Nike account in Portland, has already booked her flight to see her family and watch her brother play against USC. In addition to being a Song Girl, Shea, who is from Valencia, was a member of Kappa Kappa Gamma and interned in the USC Sports Information Department. She has a long list of people she wants to visit with while she is on campus, but she is especially curious to see how her former Song Girl coaches react to seeing her root for the Eagles. Shea might wear Boston College’s Maroon and Gold to the basketball game, but she will be wearing Cardinal and Gold when she watches the USC vs. Boston College football game on Saturday on TV.